Plans are underway to hold a balloon release / memorial / Mother's day remembrance on Sunday, May 12th, 3:00 pm in honor of Patti and Ethan. I will be at Pinecliff Park in Frederick. 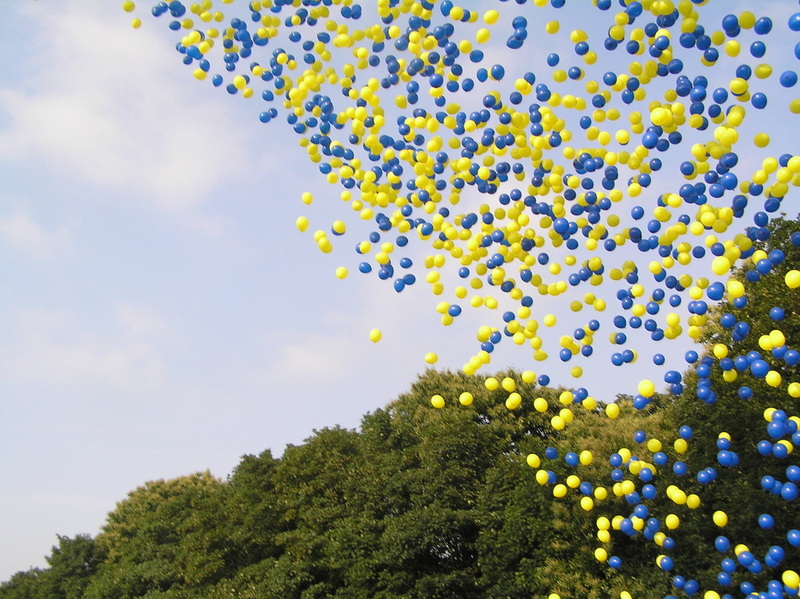 Those not able to attend but who want to show their support can take a picture of their families releasing blue and yellow balloons on that day. I want to raise awareness in a respectful way. I will invite the Frederick media. My message will be that I am a mother who is afraid for my child, and honoring the tragic loss of another mom's son. I've created a Facebook event where you can indicate your plan to participate, either in Frederick with me, or from wherever you will be on Mother's day. Let me know if you want to participate. **Update: 5/4/2013 - We have reserved a picnic shelter for this event - Shelter #2. A map of the grounds can be found here. ***Update 5/8/2013 - BYOB - Please bring your own balloons with you to the park. It's the best way to be sure everyone who wants to participate in that portion of the day is able to. I'll be using blue and yellow for Down syndrome awareness, but you're welcome to use whatever colors you choose. I will also have a "guest book" there so that everyone who comes can leave a personal message for the Saylors. If you wish to bring along a photo of your family to put in the book, please do!